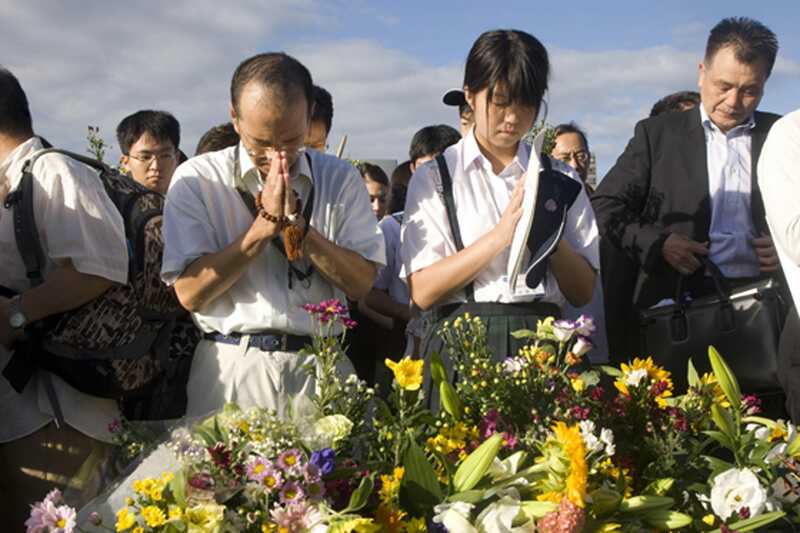 The World Council of Churches has reaffirmed the vision of a world without nuclear weapons, in marking the anniversary of the atomic bombing in 1945 of Hiroshima and Nagasaki in Japan. "Sixty-five years on, nuclear bombs still threaten humanity and deny a lasting peace," WCC general secretary the Rev. Olav Fykse Tveit said in advance of the Aug. 6 anniversary of the dropping of an atomic bomb on Hiroshima in the closing days of the Second World War. It is believed that at least 150,000 people died as a result of the bombing of Hiroshima and the dropping of another atomic bomb three days later on the city of Nagasaki. Those who survived the blasts continue to bear the effects of contamination by radiation. "In 2010, the atomic bomb survivors of 1945 continue to lead lives of courage and endurance, witnessing to the hope that no one will ever again suffer as they have suffered," said Tveit, a Norwegian Lutheran theologian who has headed the Geneva-based WCC since January. "In different countries around the globe people of faith are standing together for a world without nuclear weapons," said Tveit. He noted that since 1945, the world has been divided into two camps – "a handful of states that assert the right to have weapons of mass annihilation and the majority of states that do not." A similar message was sounded by United Nations Secretary-General Ban Ki-moon when he visited Nagasaki on Aug.5 ahead of the official commemoration at Hiroshima. "The only way to ensure that such weapons will never again be used is to eliminate them all," Ban said in a speech in Nagasaki. Tveit in his statement noted that in 2011 there is to be an international ecumenical peace convocation in Jamaica on the pursuit of a "just peace", a peace, said Tveit, "where there is no place for weapons that put humanity and the planet at risk." The WCC groups 349 churches, predominantly Anglican, Protestant, and Orthodox. The Roman Catholic Church is not a member but cooperates with the WCC in some areas. In Germany, Catholic and Protestant church representatives urged the conclusion of an international convention that would set a time scale for the elimination of nuclear weapons, the German Protestant news agency epd reports. "The memory of the death of hundreds of thousands of people remains a warning to prevent any further use of nuclear weapons," the commissioner for peace issues of Germany’s Protestant churches, the Rev. Renke Brahms, and the president of the Catholic Pax Christi peace group, Bishop Heinz Josef Algermissen, said in a joint statement. "As long as nuclear weapons exist, there is a risk and an incentive for further proliferation," they warned. "Only by overcoming nuclear deterrence through the prohibition and complete elimination of all weapons of mass destruction will the threat that these weapons pose be able to be banished," they stated. The two church representatives called for an international convention on nuclear weapons that would eliminate such weapons within a fixed time scale, on the model of similar conventions covering chemical weapons and anti-personnel mines.